As per the Aadhar Statistics the Uttarakhand population in 2019 is 11,090,425 (11.09 Millions) as compared to last census 2011 is 10,086,292. 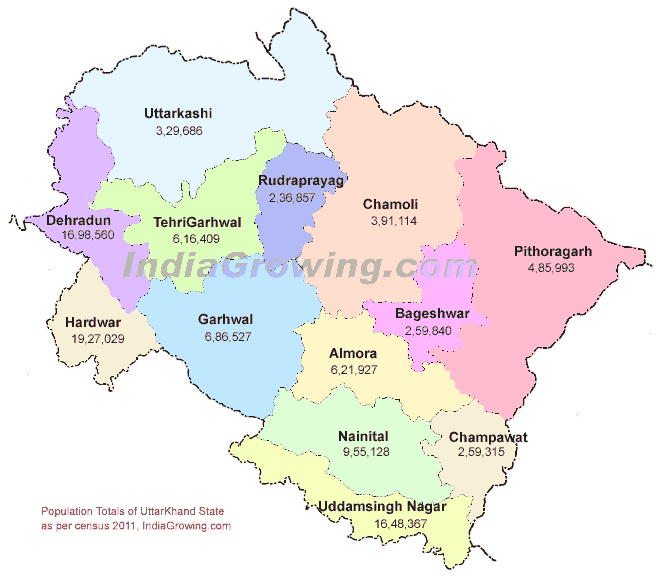 Growth rate of 9.96 percent of population increased from year 2011 in Uttarakhand. till 2018. Uttarakhand formerly Uttaranchal, is a state in the northern part of India and its established in 9 November 2000. Dehradun is the Capital of Uttarakhand in india, and its largest city in the state. Uttaranchal has 13 districts. its population is 1,01,16,752 and density is 189/sq.km. Uttarakhand literacy rate is 79.63%, and Languages spoken are	Garhwali, Kumaoni, Hindi and Urdu. Two of the most important rivers in Hinduism originate in the region, the Ganga at Gangotri and the Yamuna at Yamunotri. These two along with Badrinath and Kedarnath form the Chota Char Dham, a holy pilgrimage for the Hindus. Uttarakhand derived from sanskrit, uttara means northern part and khand means part of country. Note: in 1991 Uttaranchal was still part of Uttar Pradesh, it became a separate entity on Nov. 8, 2000. 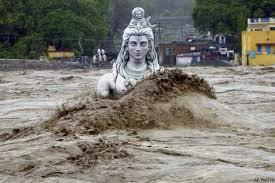 Since then it has been renamed to Uttarakhand.